My son has a great book by children’s authors Nick Butterworth and Mick Inkpen called Favourite Parables from the Bible. One of the stories from the book is The Good Stranger, based on the famous parable from Luke 10:25-37. The story of the Good Samaritan has got to be one of the most well-known of Jesus’ parables. It focuses on what it means to love our neighbour and who our ‘neighbour’ is. This parable speaks directly into some of the most topical issues of today’s world, including how we as Christians respond to the refugee crisis. The wave of refugees flooding out of Syria, Iraq and northern Africa has been incredible this year and at the forefront of world’s attention. 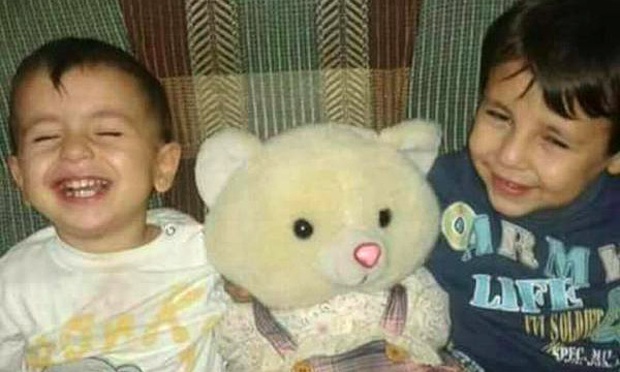 Initial public response to the refugees, particularly following the tragic story of Aylan Kurdi and his brother, tended towards sympathetic, with people seemingly supportive of providing homes for these people who had risked much to escape a terrible situation. However, ever since the more recent terrorism events linked, either directly or indirectly, to ISIS (notably Paris and San Bernardino), the public response seems to be changing, with people like Donald Trump, a large number of states in the US, and a number of countries (particularly in eastern Europe) starting to tar all refugees with the same brush, with calls for closed borders and bans on Muslims. It is becoming an ‘us’ and ‘them’ situation – something that should be abhorrent to Christians. We are called by Jesus to love, and this call isn’t restricted to those that are similar to us, those that we’re comfortable being around. We’re called to love everyone. The scandal of the Good Samaritan parable is that it is the Samaritan man who aids the wounded Jewish traveller, not the priest or the rabbi – aka the fellow Jews. Brian Krum, teaching pastor from Greenlane Christian Centre, was invited to preach at our church last Sunday. His sermon was on the woman at the well (John 4) – another famous passage that involves a Samaritan. Brian made it clear that the Samaritans were despised by the Jewish people – they were the worst of the worst, complete outsiders, people who any self-respecting Jew would have nothing to do with. What a shock it must have been for the religious scholar for Jesus to turn around and say that we are to love everyone, including the Samaritans. This is powerful and is what Jesus is calling us to do. Our response as Christians to the refugee crisis shouldn’t be ‘keep them away, leave them to fend for themselves’. We should be actively seeking to embrace these people who are struggling, hurting, longing for a peaceful life. We should be extending mercy and hospitality to them. 36 “Now which of these three would you say was a neighbour to the man who was attacked by bandits?” Jesus asked. Oh that we would take this to heart and go and do the same, both towards the refugees and everyone else in the community around us.